The last two weeks of summer vacation are a little dull for my children. I am back to work, as is my husband. Many friends are on vacation and there’s not much to do. My solution?Play with the vegetables in the garden. You might think the kids would be tired of the garden by now, but they hadn’t yet harvested anything purple. 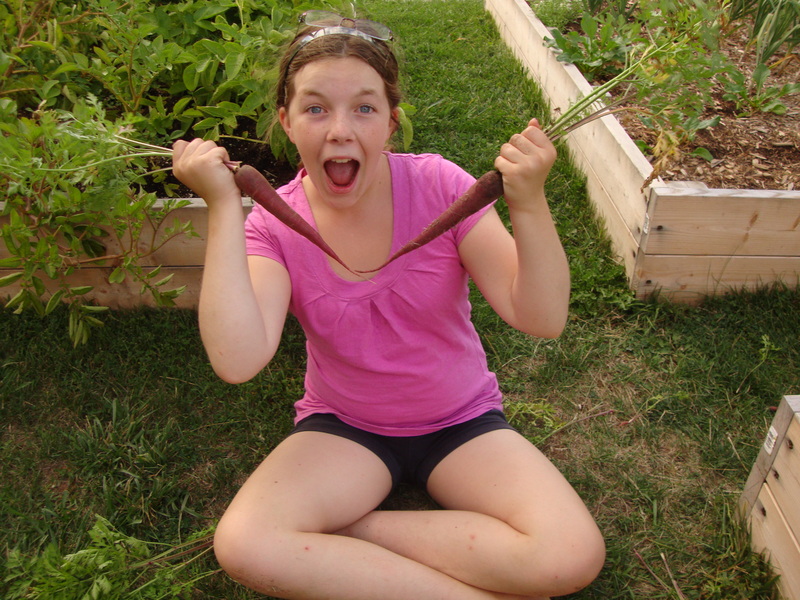 And if their level of enthusiasm is any indicator, purple vegetables are very cool. 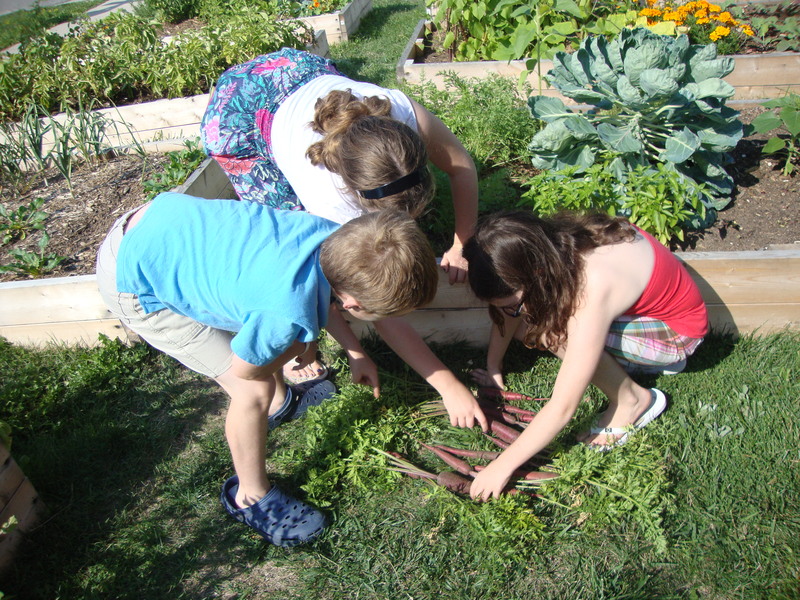 They have discovered that carrots can be difficult to dig out of the soil, and it took a little while for them to get the hang of it. Later on at the dinner table, they also discovered that you need to be careful not to get carried away when you are harvesting. They picked more carrots than they wanted to eat! 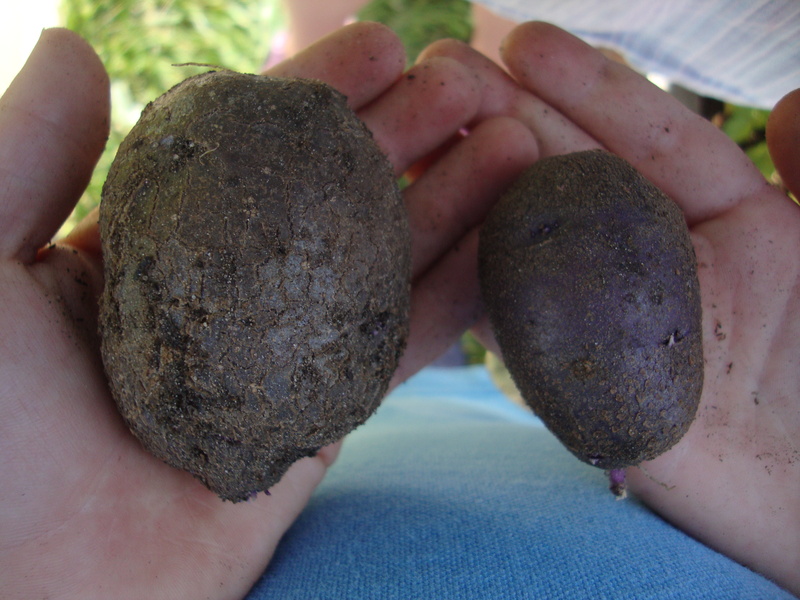 Earlier in the summer, I was given a clever tip: don’t boil the potatoes if you want to retain their colour. S o I tossed them with olive oil and fresh rosemary instead. Mmmmm! They were beautiful and delicious. 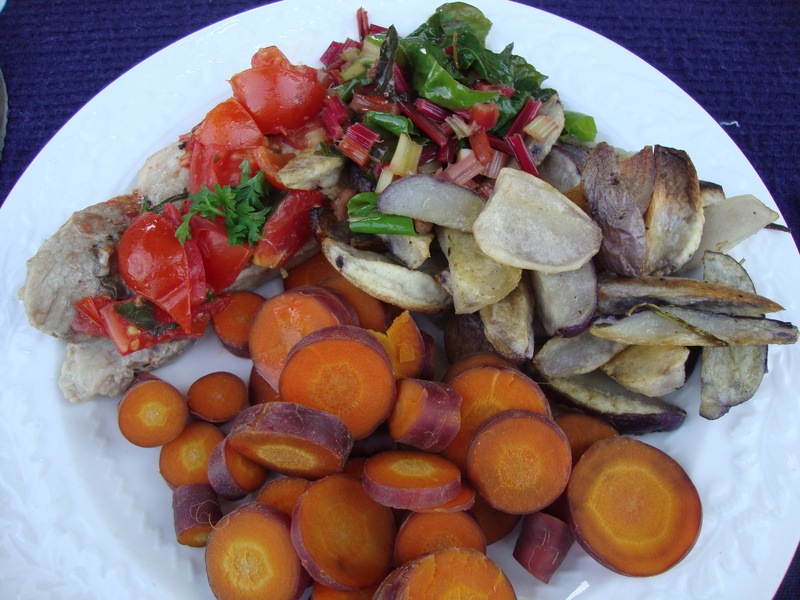 In fact, that whole meal was a riot of colour: purple potatoes, purple and orange carrots, red tomatoes, green parsley and rainbow swiss chard that was green, red, orange and yellow. It was amazing to me how long the kids spent outside and how much fun they had playing in the garden. Meanwhile, I had some peace and quiet and got a little extra work done. Who says it’s not a good idea for kids to play with their food? This entry was posted in Uncategorized and tagged food, garden, kids, vegetable. Bookmark the permalink. I planted Russian Blues last year. They were a lot of fun to eat! I’ll have to see if I can find the purple carrots next year. Did you start them as seeds or buy plants?